What Are Consumers on the Lookout For? According to The Hartman Group, a thought leader on demand-side trends in the food industry, 81% of consumers who say they are watching their weight read product Nutrition Facts panels, and 72% who aren’t necessarily diet-minded read them. 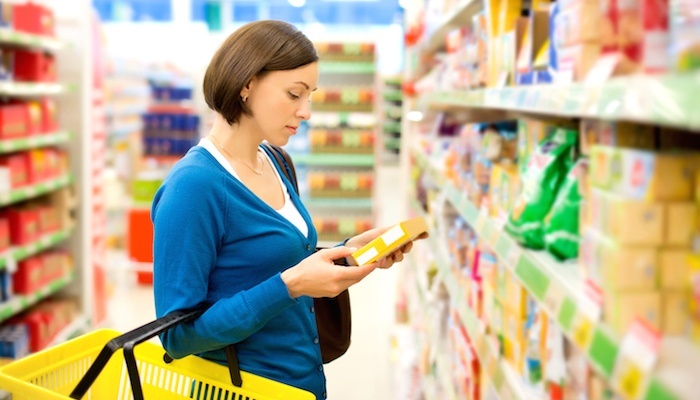 Consumers want to know what’s in the product, how fresh it is, the amount of calories, sugar, sodium, fat grams, and look for evidence that a product is healthy, organic or natural. Is Whey Protein a Natural Product? A byproduct of the cheesemaking process, whey protein is a completely natural ingredient. At Grande Custom Ingredients Group, our production process (which uses zero chemical modifiers, additives, or preservatives) starts with Grade A milk collected daily from our producer dairy farms. The majority of these dairies have received a 5-star Certification from the Milk & Dairy Beef Quality Assurance Program, signifying they’ve exceeded the government’s highest rating and provide the highest level of animal health and welfare. The fresh milk is rapidly cooled and delivered to Grande plants where it’s made into our world•class Italian cheeses. Once we’ve gathered the natural, high-quality whey that’s left from the cheese production process, we’re ready to start making our whey protein products. After being filtered through the membranes, the whey is then heat-dried into a powder, with zero chemical modifications. This results in all natural whey protein products that can be used to help “clean up” your nutrition labels with ingredients that are easily recognized by consumers. The production process and the nutrition of whey protein products become increasingly important as consumers continue to demand fewer artificial – and more natural – ingredients in their food products (and are willing to pay a premium for better nutrition). Manufacturers looking for ways to deliver the taste we all crave in a way that doesn’t detract from health owe it to themselves to look at natural ingredients designed to add nutrition without compromising the quality characteristics of the food. Using whey protein ingredients in your products - like our Grande Bravo® Functional Whey Proteins for example - help food manufacturers clean up nutritional labels as a simple ingredient with a completely natural production process. Often, food manufacturers are also able to reduce or completely replace high-cost, high-fat ingredients by using whey protein ingredients - a true win-win! Take a look into Grande Custom Ingredients Group’s natural whey protein production process with our easy to follow infographic that covers the process from the farm through to the final stages. Download the infographic now!